This may sound odd, but I've found myself dealing with a sense of guilt the past few days as I scroll through social media and see the flooding Harvey is causing. The dramatic pictures and news headlines on webpages make me sad for a moment, but it's the pictures on Facebook of friends' homes and neighborhoods destroyed that make my heart sink into my gut and stay there for a long, long while. Houston is my hometown, and I feel guilty for not being there now. As humans—and especially as a nurse—when we see something dear to our hearts hurting (a person, a family, a city, or a whole area of the state), it's our instinct to want to go to them, to help, to fix. Mainly to fix. I don't want to watch Harvey devastate Houston anymore. I don't want to watch people hurting anymore. I want to fix it. I want to be there. 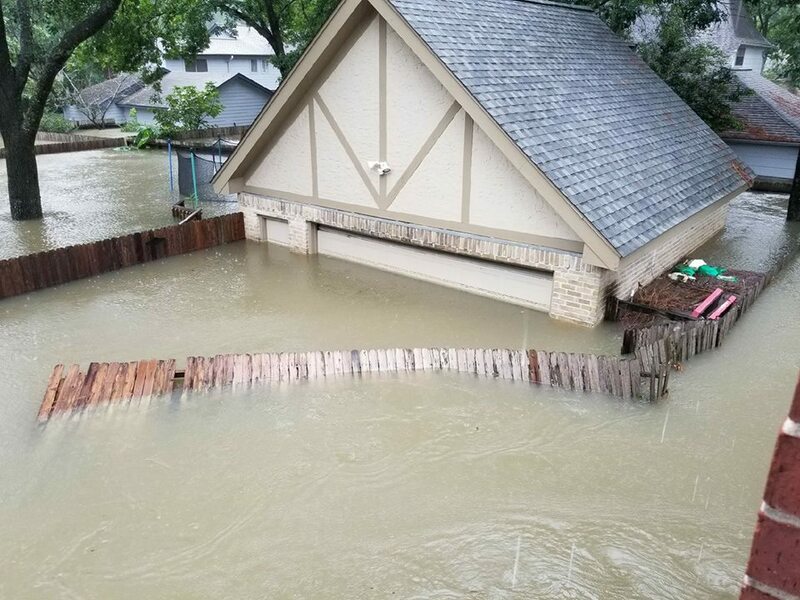 But here I am, in Waco, Texas, within driving distance of Houston, but I'm not on the road; I'm sitting at my kitchen table typing on my computer, with air conditioning and electricity, a cup of hot coffee, and definitely no flooding outside my doors. This is where the guilt creeps in. Guilt because I am safe and sound, and so many people are not. Guilt because I am not on my way to Houston to help, and Houston needs nurses right now. I have nursing friends who have been posting about their long haul at the hospital—two days, three, maybe more, trapped at their workplace and working insanely long shifts to care for their patients. I've thought about going to provide relief as a nurse. I've prayed about it. I've even shed a few tears about it. In my pride, I want to go: I want to be a helper and a healer and a fixer. But I cannot go, not right now. The decision to move out of the nursing world is all too fresh, and I'm still recovering from burnout. To volunteer as a nurse to help with the devastation would only serve to devastate me. In the short term, it seems selfish. In the long term, it seems selfless. Because Houston is not a relief project for me; it's my hometown and always will be. I will always know and love people there, and in five years from now, when the news and media have moved on, I want to be able to be there, helping with the long-term cleanup and rebuilding—the rebuilding of homes and the rebuilding of hearts and morales and shattered dreams, for these are the things that are not so easily remade. They require tenderness and patience and a long-term relationship. They cannot be mended by nailing down roofing and flooring or even by raising up a brand-new house. I want to be in this for the long haul, and in order to be whole and able to help later, I must stay off the front lines of medical relief work today. Will I serve with other, non-medical relief efforts? Tearing up carpet in flooded homes and clearing debris and providing food to those who have been displaced? Yes, I hope so. This, I believe, is well within my capacity at the moment. Everything within my capacity I will gladly give - because my heart is for Houston. I am for Houston, and I am for the hope this disaster is bringing: hope that community will be reborn. I have witnessed it before, during tragedies and storms like Hurricane Ike, when the community pulls together and neighbors finally meet after living on the same street for years. All barriers and politics disappear, and only a concern for others' wellbeing remains. This is my heart for Houston: that we will learn a lesson from Harvey, that the unity will not fade, that old biases and divisions will not be rebuilt along with old buildings and roads; that pride—just like mine today—will die away, and hope and grace will prevail; that we will see each other not as projects to be saved, but as people whom we love. This perspective has the power to change more than the gulf coast and create bigger waves than any hurricane ever could. Dear Houston, my heart reaches out to you. I'm not within your city limits anymore, but I'm for you, and I'm rooting for the change and the hope you are showcasing for the whole world today.